Years ago, when the last census came out, I had to say what my most used form of transport to work was. At the time, by distance, it was aeroplane. I’d get up at 3am on Monday morning, go to the airport, travel over to usually Europe or sometimes North America and then spend the rest of my week either walking or in short distance taxis. When that period of my life was finished, I went back to the usual driving commute. For a long time I would take the motorway, and also use the motorways to go see friends fairly regularly. At one point I worked out that a third of my annual mileage was spent on motorways going to feed a friend’s cat while her owner was on holiday. As such, I’m certainly not one of these people who worries about driving on them most of the time. They get boring and frustrating sometimes, but they don’t worry me. That’s until I see something in particular. 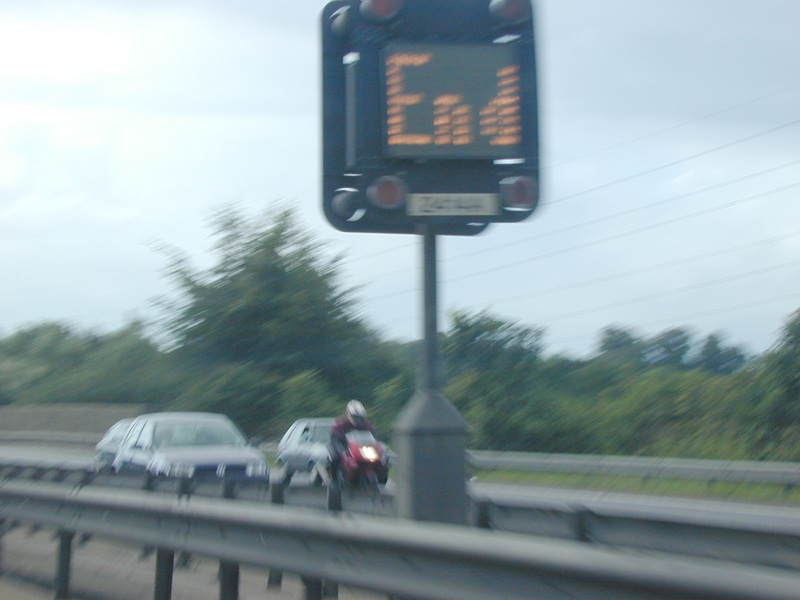 A sign that reads “End”. The time when that bothers is me is when I don’t know what it’s the end of. It’s not the end of the motorway or, alas, not the end of the world just yet. They’re there to indicate the end of a warning, or a calming measure but my problem is that I haven’t always seen the beginning. A pet hate of mine was driving slowly in a variable speed limit with two lanes of motorway completely empty but not being used because the traffic has to be moved so slowly. There’s probably an algorithm sorting it, but sometimes I think the signs just haven’t been switched off. Sometimes, though, I just haven’t seen the start. I’ve entered half way through the zone via a slip road, or it’s started behind me and the signs haven’t caught up. I’m left wondering how many workers or stray animals I could have killed and when the speeding ticket will arrive. Forcing my petty hate in to a metaphor, I’ve been in situations before where I’ve very plainly the end, but not noticed the beginning. I’m not always the best at noticing subtlety. I’m not always the best at noticing the completely obvious! However, there’s not much worse than not knowing recognising the situation that you’re in until it’s too late.